Morgan’s Powergrip is the perfect choice for all your porous tile bonding needs. This excellent tile adhesive exhibits high bonding strength and exceeds Australian quality standards. It is suitable for bonding porous wall and floor tiles to various substrates in interior and exterior applications. 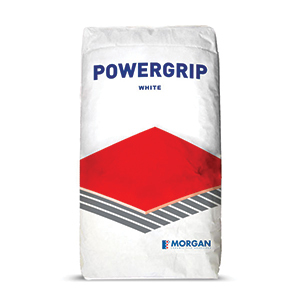 Powergrip is available in a standard 20kg bag. This tile bonding adhesive is ideal for bonding porous natural stone and bicottura tiles to concrete and cement rendered substrates. 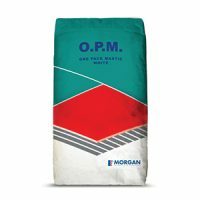 However, it is unsuitable for bonding moisture sensitive marble, fully vitrified tiles, monocottura tiles, MDF board, timber and substrates that are subject to continuous immersion in water. Powergrip is a safe and easy-to-use bonding adhesive. It can be applied in thin or thick coats and it is fully non-toxic. As a superior grade tile bonding adhesive, Powergrip exceeds the AS4992 standard. 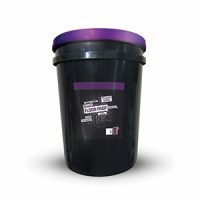 Rest assured that it is a quality adhesive that will not only meet but exceed your expectations. For the ultimate tile adhesive for porous tiles, you’ll find nothing better than Powergrip at Ross’s Discount Home Centre. Buy this tile bonding adhesive at the lowest price from our online store today!